Is a popular GPS app putting drivers and law enforcement in danger? If you use GPS apps on your phone, odds are you've heard of Waze. The navigational app allows users (drivers/passengers) to work together, maximizing route efficiency but also avoiding tickets. The New York City Police Department sent Waze a letter demanding its owner, Google, to remove a feature that allows for drivers to pinpoint police locations, specifically DWI checkpoints. 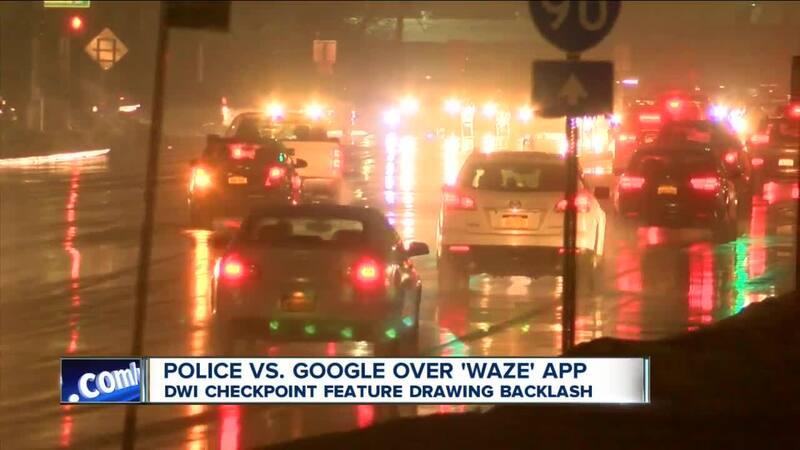 BUFFALO, N.Y. (WKBW) — If you use GPS apps on your phone, odds are you've heard of Waze. The navigational app allows users (drivers/passengers) to work together, maximizing route efficiency but also avoiding tickets. The New York City Police Department sent Waze a letter demanding its owner, Google, to remove a feature that allows for drivers to pinpoint police locations, specifically DWI checkpoints. “If you’re using an app based thing where you’re plugging in coordinates of where a policeman may be, what are you doing? You’re driving distracted now. So not only are you driving distracted, are you driving intoxicated? What are you trying to avoid? The leading cause of traffic collisions are DWI and distracted deriving and you’re doing both," says Trooper James O'Callaghan of the New York State Police. O'Callaghan sees the feature as a major security issue for police and dangerous for other drivers on the road. He says though, the app does offer a multitude of benefits, like traffic and collision alerts. "We believe highlighting police presence promotes road safety because drivers tend to drive more carefully and obey traffic laws when they are aware of nearby police. We've also seen police encourage such reporting as it serves as both a warning to drivers, as well as a way to highlight police work that keeps roadways safe."